Often Christians are in a church with an uneven number of single Christian guys and girls. They want to be in a relationship, or already like a non-Christian, and wonder if it’s wise to date them. But the answer isn’t yes, no, maybe or sometimes, the answer is, it’s the wrong question. The real question should be ‘What kind of relationships do I want to build?’ Then we can decide if this person would help, whether they’re Christian or not. This isn’t just an abstract concept for them; it’s a real issue. Many have probably been told by someone in the church that it’s wrong, it’s bad and they shouldn’t do it. This probably made them feel guilty or feel bad. But they want to be in a relationship and there is nothing wrong with that. They also clearly want God to be involved, otherwise they wouldn’t even be asking the question, they would just get on with it. Often they get told they should only go out with a Christian. However, the truth is, going out with a Christian doesn’t mean your relationship will automatically honour God. I know Christians who both love God, who have dated but it has ended badly or been a complete train wreck. They just weren’t suited or approached the relationships with unhealthy expectations. Dating a Christian isn’t a pass to automatic dating happiness. And dating a non-christian isn’t a route to unthinkable dating horrors either. Honouring God requires a deeper question. However, the Bible does talk a lot about another intimate romantic relationship, namely marriage, and marrying non-believers. While we can’t just apply Bible verses about marriage to modern dating dilemmas, it can help us think through some helpful principles. 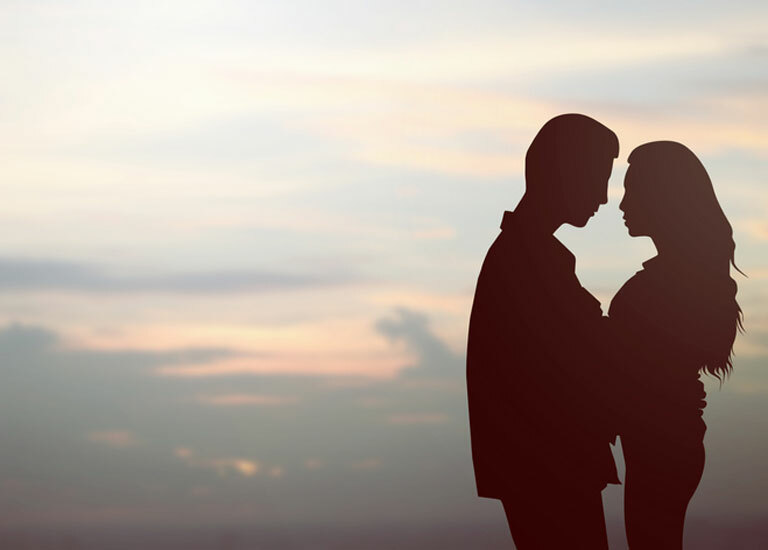 The blog written last year for Christian Connection ‘Should you marry a non-Christian?’, written by David Instone-Brewer, looked at the issue of the biblical teaching on marrying non-Christians. It’s definitely worth a read as he takes the text seriously and picks out some important points. For example, he highlights the fact that God loves non-Christians and values marriage, even if a Christian marries a non-Christian. However, David concludes that it’s actually okay to marry a non-Christian. The ‘rules’ and teaching in the Bible about marrying a non-believer are more about the cultural situation rather than some divine command. Paul talks about marriage as being above the culture in Ephesians 5:21-33. It reflects God’s relationship and love for His church. Moreover, Paul’s vision for husbands laying down their lives and wives submitting, can only be achieved if the spouses believe in Christ and his achievements. David is right to say that Paul is pastoral when believers and non-believers are married. Paul realises it isn’t black and white all the time and God still wants to be involved in their relationship no matter what. However, Paul thinks the ideal for marriage is rooted in the couple’s relationship with God. David also argues that in the Old Testament there was no rule for marrying a non-believer. However, most of his examples are from early on in the Bible (the first six books), which you could argue come before there was a developed understanding of inter-faith marriage. After this point, you could even argue there was a cultural assumption that you marry within your own religion. Which is why it’s not an issue by and large. Now I’m not saying marrying a non-Christian is right or wrong, that’s not the point. But whether you agree with David or not, I think partner selection in dating and marriage still comes down to a deeper question. Them being a Christian doesn’t mean the answer to these important questions is automatically ‘yes’. In fact, this is about more than the pews they sit, or don’t sit on, on a Sunday. It becomes about thinking what our priorities actually are. What are the important things in our lives? What do we value the most? It becomes about more then ticking the ‘right’ or ‘wrong’ box, and about preparing, with God in mind, how we can build something worth having with that potentially special someone. Why do you think a lot of Christians say dating a non-Christian is ‘wrong’?